If you run an adult website, chances are you’re already getting a good amount of traffic every month. After all, there are over 23 million searches on Google and other search engines for adult-related content every single month. As people become more comfortable searching for what they’re into online, many adult websites are seeing a healthy number of visitors. 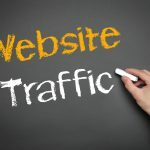 But if you’re falling behind, or if you’d simply like to connect with more targeted traffic in the hopes of increasing your conversions, keep reading. 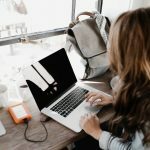 In this post, we’ll tell you everything you need to know about how to improve your adult SEO strategy through conducting thorough, consistent keyword research. When it comes to mastering adult SEO, the most important thing to remember is that you have a lot of competition. It can be tempting to pepper your content with the most popular keywords. But unless you’re one of the most visited sites out there, it’s likely that those keywords have already been claimed by your competitors. If you only create content with the most searched-for keywords, this essentially means you’ll be sending visitors to your competitors. Instead, you need to focus on finding keywords that you’ll actually be able to rank for, and that will drive targeted traffic to your site. In other words, you need to make it easy for the users who want exactly what you have to offer to find you. One of the best ways to do this? Through the use of long tail keywords, or phrases that are between 3-5 words. Long tail keywords have much less competition. Plus, they allow you to get more specific about the content and services you provide. When it comes to finding the right keywords to increase the effectiveness of your adult SEO plan? Well, location plays a huge part in your success. Remember that, especially when you’re coming up with a list of long tail keywords, including phrases that specify your location is crucial. Especially if you offer services that aren’t exclusively online (like escorts or dates) people will be searching for these services in their area. This is because many people will be searching for your site and services on their mobile devices. These phones often use location-based services and maps to determine the searcher’s location. They can also provide the most accurate search results. Of course, when it comes to adult SEO, it’s important to look at what’s worked for you well in the past. This means that you’ll need to mine your website data to figure out the most popular keywords that send people to your specific site. When you’re researching, also make sure you look for the keywords that lead to visitors taking a specific action on your site. This action could be booking a service, or signing up for a newsletter. It could even mean contacting you to learn more about what you offer. Look at where your website traffic is coming from. Then, include keywords in your content that are also relevant to the other types of pages your visitors like. Always be sure to keep your keywords relevant to the content at hand, and avoid keyword stuffing. Clients will certainly notice if you’ve repeated the same phrase 20 times in a 500-word post. Not only does it look unprofessional. It will also cause visitors to leave your page. This, unsurprisingly, lowers you in search engine rankings. Now, you know a few adult SEO tips when it comes to keywords. Next up, let’s briefly discuss the importance of making those keywords the anchor text to relevant internal and external links. It’s always a good idea to link back to relevant pages of your website in your content. For example, if your keyword was “college roommates lesbian video,” you definitely don’t want to leave your visitors hanging. Same if you have a link reading, “click for more” that actually leads to an irrelevant website — or worse, to a competitor. Don’t link that keyword to anything other than the video or relevant content itself. You can also use active anchor text to link to relevant pages of your site. The right links encourage your visitors to take a direct action. They make it much easier for clients to do so, too. 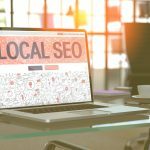 Thanks to this post, you now have a few great ideas about how to upgrade your current adult SEO strategy. You can start by conducting better keyword research. Remember to get specific, keep any links relevant, and to embrace both long tail keywords and location-based keywords. Follow these basic rules and constantly monitor the effectiveness of the keywords you’ve chosen. If you do, then you’ll see your conversions and your web traffic increase. Looking for more information about how to take your adult site to the next level? Interested in learning more about how you can improve your current digital marketing plan? Sign up with us for free to connect with the top marketers. Or, just spend some time on our website. There, you can read up on all the latest trends in the adult industry and beyond.